Hola bellas!!!! As promoised and as I announced on my Facebook page, here I'm again with another exciting giveaway. I'm extremely thankful for Bourjois for such a nice gesture and sponsoring one of the giveaway for my middle east readers. 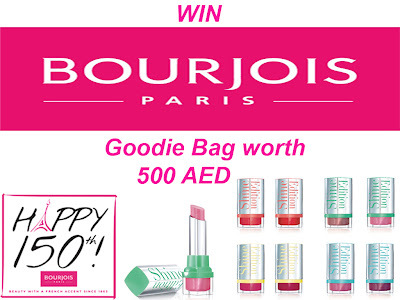 As I'm from Middle East (United Arab Emirates) so when Bourjois Middle East asked me hosting a giveaway exclusively for my Middle East (GCC) subscribers I have been really delighted, so here my all Middle East/GCC fans/followers/readers, this ones is for you only!!! 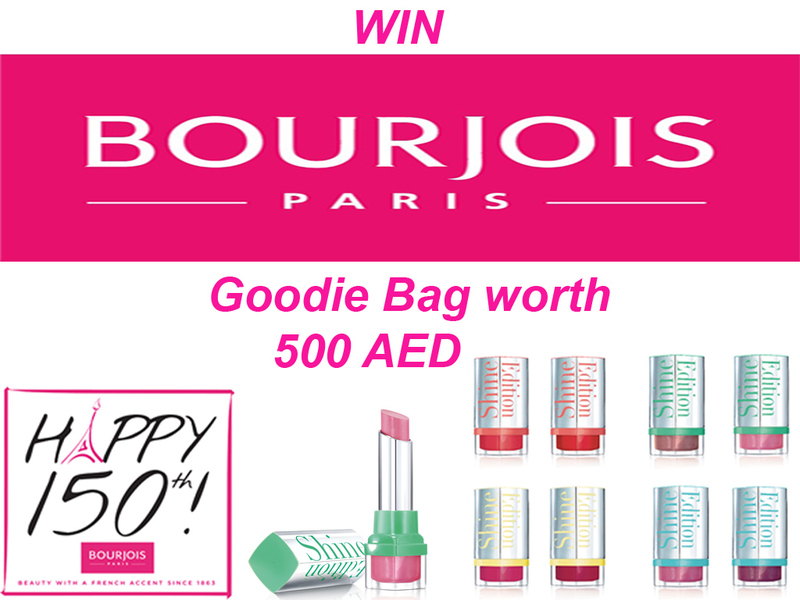 I'll be choosing ONE winner randomly and they will be getting Bourjois Goody Bag Worth 500 AED containing Bourjois NEW Shine Edition Collection and other latest products. How exciting is that?? Like Sana's Ramblings on Facebook. Share this giveaway using the picture above ONCE on your Facebook timelime PUBLICLY. 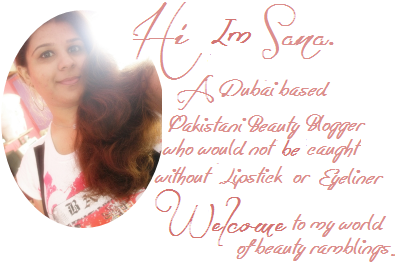 Follow Sana's Ramblings via Bloglovi'. The winner will be chosen randomly via random.org. Giveaway end on July 15th 2013. 23 comments on "Bourjois Goodie Bag Giveaway [Open To Middle East Only]"
Being a makeup freak and a bourjois fan, found it an awesome opportunity to win it. I've just own BB Cream from bourjois and became their fan on facebook. hope to win it some amazing goodies for myself. shared the give away link and followed you as well on 'bloglovi' as i just joined it don't know how to share my profile link lol but trying my level best to win it. Awesome Giveaway. Hope to get lucky ! Ramadan Kareem to u Sana & to all my friends who have entered this contest. Hopeful to win In sha Allah ,as it's the very first contest that I have entered in the Mubarak month of Ramadan. I love Bourjois products as they are Natural.. & smell so Sweet. I appreciate the Fact that u have organised it for all your "GCC" Fans,..Entered from Qatar with Pleasure. done and hope to win!